My name is Douwe van Willigen and I am an electrical engineer in the electronics team of DARE. By now it is more than four years ago that I joined the team and I’ve gained a lot of experience in designing electronics for rockets over that time. 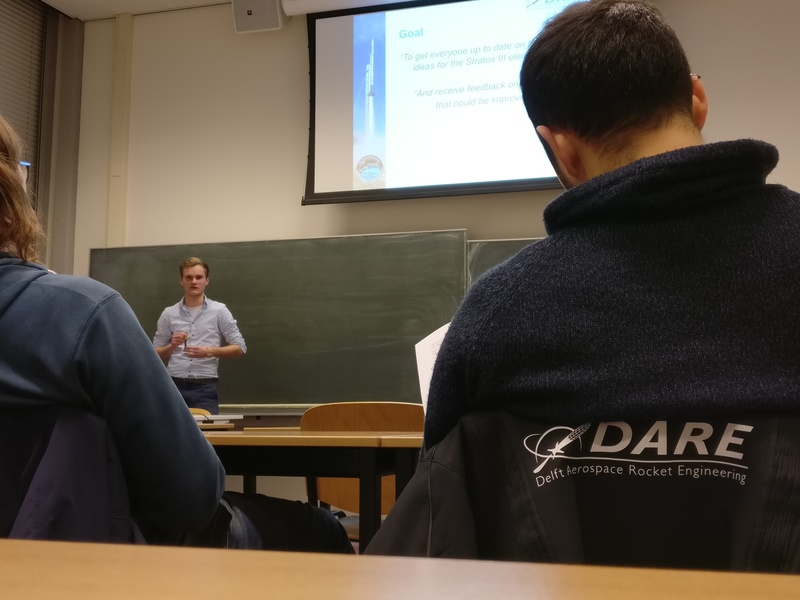 Being part of DARE was a valuable addition to my study at the TUDelft as it offered a more practical approach to learning electronics, next to the theory learned in the courses. Furthermore it’s a valuable experience to work in a multidisciplinary team and learn how to combine the strengths of all the disciplines to one big project. During the Stratos II+ launch I was the team leader of the electronics team. Now that the new generation has taken over, I give them advice on how to design the rocket electronics. 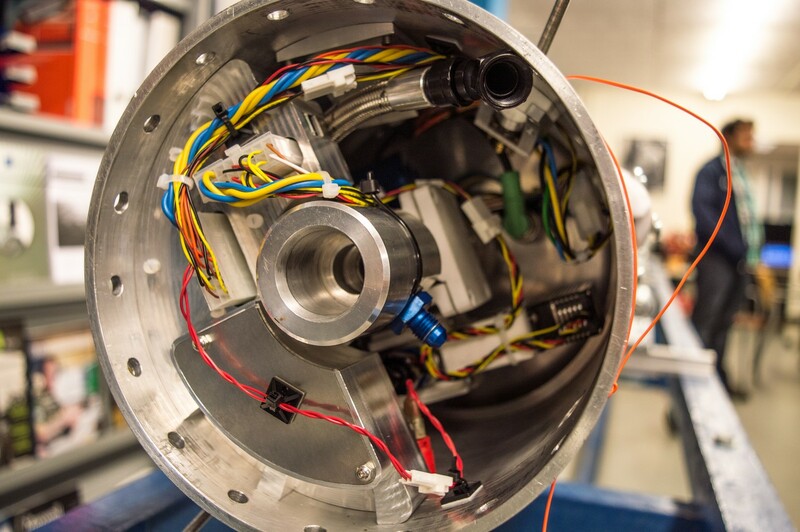 An important milestone of the Stratos III electronics is the Preliminary Design Review (PDR). As an experienced member, I know what to look out for and advice the team on what to do and especially what not to do. In this blog post, I will describe a few aspects discussed during the PDR. 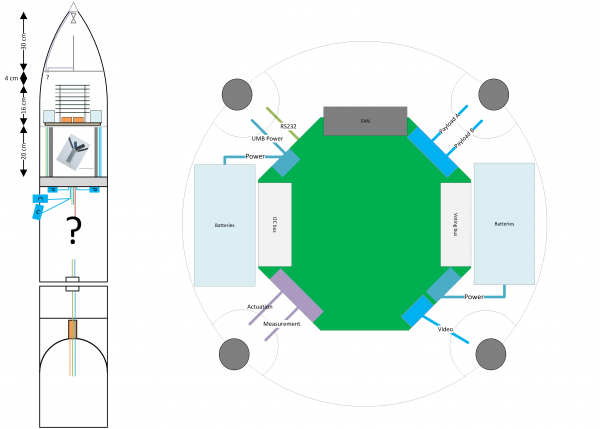 The team has created a timeline of what the rocket electronics need to do during launch. As an electronics team, we need to talk with all the sub-teams to come up with the ideal timeline of behavior for the rocket. It is important to know this early in the design phase as it for example creates the specifications for the minimum battery capacity and power budget of the flight electronics. The electronics inside the rocket consist of two main systems, inherited from Stratos II+: the Engine Control Unit (ECU) and the flight computer (the “stack”). The ECU is located near the rocket engine. It actuates the valves and measures the performance of the engine during flight. The flight computer does all the rest: determining the attitude, controlling the actuation mechanism of the parachutes, logging the data of the payloads, and providing a video and telemetry downlink. wiring helps a lot in the assembly procedures during the launch campaign. Below you can see a picture of the wiring in the engine bay of Stratos II+. The discussion resulted in a few pictures, which show a nice peek into the new plans. With all the improvements seen in the PDR I think we can look forward to a Stratos rocket that is even more awesome than its predecessor! Do you want to keep updated about our progress? Follow us on our Twitter, Facebook, Instagram or Linkedin! Previous: Previous post: Project Aether kickoff: The launch site is set! Next: Next post: Aether: Roll-out of our First Actively-Stabilised Supersonic Rocket!